We’d love your help. Let us know what’s wrong with this preview of On the Count of Three by Carolyn Arnold. Published December 4th 2018 by Hibbert & Stiles Publishing Inc.
To ask other readers questions about On the Count of Three, please sign up. Miami Homicide Detective Kelly Marsh calls an old acquaintance in the FBI ... Special Agent Jack Harper, the head of the FBI's Behavioral Analysis Unit. The daughter of the mayor of Miami has disappeared and Kelly is afraid she has a serial killer on her hands. There are already two unsolved murders and this will be the third. The two previous cases disappeared and three days later their heads were found ... but never their bodies. Harper gathers up his team including Agent Brandon Fisher and Profiler ... the relative newbie. When they start investigating, they start connecting the dots. All three of the victims have served jail time for DUI Vehicular Homicide. But Brandon isn't so sure the third missing woman hasn't left on her own. This puts him at odds with Kelly .. and Kelly evidently has a special place in Harper's life. Brandon wants to start going backwards to see if there are any other victims that may have been overlooked. What they find stuns them all! The longer they investigate, the closer to the killer's identity they get .. and the killer has no intention of being caught. He will kill them first. On the Count of Three is the seventh installment in the international bestselling Brandon Fisher FBI series. Although this one reads easily as a stand alone, I highly recommend starting at the very beginning. Many thanks to the author / HIbbert & Stiles Publishing for the advanced digital copy of this crime fiction. Opinions expressed here are unbiased and entirely my own. Personal feelings and misgivings add an extra layer of suspense to Carolyn Arnold’s ON THE COUNT OF THREE. When a woman goes missing in Miami, a favor is called in and the FBI’s Behavioral Analysis Unit is wheels up, enroute to the tropical paradise. In the past, two women were found decapitated and a Miami police detective has found what she thinks is a horrific and compelling link to believe this is more than a missing person case. Now it’s up to Brandon Fisher and his team to find the needle Personal feelings and misgivings add an extra layer of suspense to Carolyn Arnold’s ON THE COUNT OF THREE. When a woman goes missing in Miami, a favor is called in and the FBI’s Behavioral Analysis Unit is wheels up, enroute to the tropical paradise. In the past, two women were found decapitated and a Miami police detective has found what she thinks is a horrific and compelling link to believe this is more than a missing person case. Now it’s up to Brandon Fisher and his team to find the needle in the haystack before the latest victim becomes another statistic. Carolyn Arnold’s style is gritty, intense and layered in rich detail. 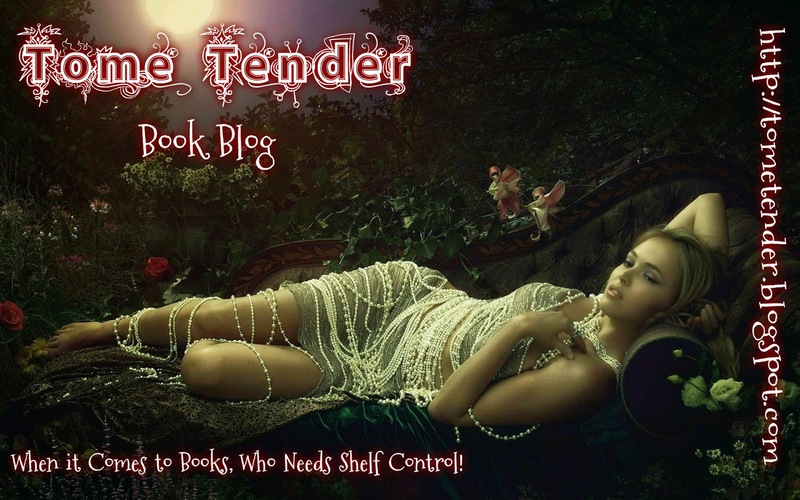 Each scene read like a movie running across my mental screen as I sat riveted to each page. Dark, graphic and gut-clenching at times, the personal interactions among the FBI team may make this case even harder as seasoned veterans re-think their life’s work as they dance to the Unsub’s tune. Edgy and bold writing make this another hit for Carolyn Arnold and suspense lovers everywhere! I received a complimentary ARC edition from Hibbert & Stiles! Brandon, a special agent with the BAU woke to the ringing phone. His girlfriend Becky is a police officer so she Carolyn Arnold’s attention to detail makes her writing so engrossing, riveting, that once I start, I am unable to stop reading until the last page is read. I voluntarily reviewed a free copy of On The Count Of Three by Carolyn Arnold. Note: I received an advanced reader's copy (ARC) of On the Count of Three from the publisher Hibbert & Stiles in exchange for an honest review. "Our unsub has never been about hiding the identity of his victims. He's always left their teeth intact and never mutilated their faces, making identification easy." On the Count of Three by Carolyn Arnold is the seventh instalment in the Brandon Fisher series. This is my first read in the series and I didn't feel lost in any way with it being th Note: I received an advanced reader's copy (ARC) of On the Count of Three from the publisher Hibbert & Stiles in exchange for an honest review. On the Count of Three by Carolyn Arnold is the seventh instalment in the Brandon Fisher series. This is my first read in the series and I didn't feel lost in any way with it being the seventh. I loved that the book opens with a flashback from the killer, initiating suspense from the first page. The "unsub" appears to seek out recently-released people who were found guilty in drunk-driving accidents. Miami police department (PD) officer Kelly Marsh investigates a murder and thinks there is a serial killer on the loose. So, she calls former mentor Jack Harper and his FBI team to assist her with the investigation. A lot of emotions are flying as Kelly struggles with her boss, who doesn't do much but get the spotlight, while Brandon Fisher, a member of Harper's team, feels that there is some kind of history between Kelly and Jack. Throughout the novel, we see Brandon being jealous of Kelly, creating some occasional humour and suspense. On the Count of Three reminded me of the show Criminal Minds, and later one of the characters voices my thoughts. I felt that several of the characters were similar to those from Criminal Minds; Zach is a lot like Spencer Reed, and their lead Jack Harper is a bit like Aaron Hotchner. Also like the series, there were some bits that felt like the quotes they used at the beginning and ending of each episode. Still, the book is different in its own way. "The BAU?" Her brows rose in perfectly shaped arches. "Like from that TV show Criminal Minds?" Each character has their pros and cons; I liked the medical examiner with her black humour, and Kelly, a woman hell-bent on bringing justice to those who deserve it and one who views the perpetrators who were murdered by the killer as victims. One of the things I really liked about On the Count of Three is the use of actual policing and procedures. Carolyn Arnold provides detailed information about decomposition and lividity for the bodies they find in a way that is both educational and exciting. There is also lots of conversation throughout the book to keep the pace quick and the reader's mind working. "Hope was a double-edged sword. It could empower and destroy. In some ways, hope was worse than closure. Especially, when bad news came on the tail end of sparked optimism." I felt that the book had too many perspectives. Nearly all were in the third person, with the exception of Brandon's, which was in the first person. In most cases it was easy to pick up whose perspective the reader was seeing the events from. The sections where the killer was the speaker were interesting, showing how they felt, spoke, acted and reacted, and so on. "I would kill to sleep in." She had no idea how exhausting kidnapping and killing were. How both deserved a nice, long snooze afterward. Although the book is one of the Brandon Fisher series, Brandon is not the only main character. We see perspectives from various characters including Zach and Kelly. I felt that Brandon wasn't the know-it-all who had all the answers. Again, since this is my first read in the series, I don't know if this is the case with the other books – but it is something I thought worth mentioning. Overall, On the Count of Three is quick-paced and exciting. The reader is easily immersed in the investigation as the FBI and Miami PD detective seek to uncover clues and pinpoint bits and analyse what is going on to catch the serial killer. "Charm and charisma were two of the best weapons in any murderer's arsenal. Sweet, yet sticky like honey." The language is easy and I picked up some new investigative and medical-examiner terminology. I enjoyed Arnold's word choice throughout On the Count of Three, including the quotable bits at the beginning of some chapters. But particularly how the book ends not only by catching the killer but through word choice. "Chaos and aftermath didn't have to be viewed as horrible. Light came from darkness." On the Count of Three is the 7th book in the Brandon Fisher FBI series and can be read on its own. In this installment Brandon along with his Carolyn Arnold has done it again by creating a story so terrifying and thrilling that has you guessing from the first page you cannot help to keep reading.. She knows how to a write a good mystery and as a fan of hers and the genre, picking up this book was an easy decision. From the first page she had me on the edge of my seat with a nail-biting prologue. I really enjoyed Power Struggle by Carolyn Arnold so couldn't wait to get stuck into On the Count of Three her new book. A decapitation got me hooked straight away wanting to know who where and why. There had already been 2 murders would there be a third or would the crime be solved in time or is it not even connected I had so many questions that needed answering. The book didnt disappoint and will have you turning the pages to find out if the case can be cracked and what else will be discovered a I really enjoyed Power Struggle by Carolyn Arnold so couldn't wait to get stuck into On the Count of Three her new book. The book didnt disappoint and will have you turning the pages to find out if the case can be cracked and what else will be discovered along the way. I am a huge fan of police/criminal dramas – CSI, NCIS, Chicago PD, Hawaii Five-0 – they’re my jam so when it comes to reading police drama related books – Carolyn Arnold is my go to recommendation. First and foremost, these books can be read as stand alone. I don’t feel you are lost among anything other than maybe personal history/backgrounds, but it’s not enough that it takes away from the thrill, suspense, and mystery of the story. Granted, reading all of the books in the series is always more I am a huge fan of police/criminal dramas – CSI, NCIS, Chicago PD, Hawaii Five-0 – they’re my jam so when it comes to reading police drama related books – Carolyn Arnold is my go to recommendation. First and foremost, these books can be read as stand alone. I don’t feel you are lost among anything other than maybe personal history/backgrounds, but it’s not enough that it takes away from the thrill, suspense, and mystery of the story. Granted, reading all of the books in the series is always more fun and my preferred method, but don’t let a little thing like that stop you from enjoying an amazing read. I felt this book was darker than some of the previous in the series (or maybe my memory is bad. It’s probable.) If you have followed my book reviews at all, you know I am a big fan of John W. Mefford and the feel of this book reminded me of his stories, but with more of the FBI/police aspect than we get in John’s book. An all around winning combination if you ask me. My love of police/criminal drama is working the case right along with the agents/officers. I love taking in the details that are shared, getting stumped, running ideas – all to run down a suspect. Carolyn’s books deliver that so well that even though I am reading the book; I feel like I’m a part of the team, working the case right along with them. Brandon Fisher is back in this grizzly tale of a killer seeking revenge on those who have caused deaths by DUI. I loved the last book in this series but this one has moved to top spot now. The FBI and the Miami PD are joining forces in a missing persons case that is showing eerily similar circumstances to two cold cases involving decapitated heads. How the cases are connected start coming to light when the three victims all appear to have have served jail time for causing death by DUI, and three Brandon Fisher is back in this grizzly tale of a killer seeking revenge on those who have caused deaths by DUI. I loved the last book in this series but this one has moved to top spot now. The FBI and the Miami PD are joining forces in a missing persons case that is showing eerily similar circumstances to two cold cases involving decapitated heads. How the cases are connected start coming to light when the three victims all appear to have have served jail time for causing death by DUI, and three days after being released two ended up headless. Can Brandon and his team stop the third woman from meeting the same fate? The victims don't seem to be connected at first glance and how the killer is choosing them is something the team need to try and discover, I loved seeing them all work together and try to piece the puzzle together before it was too late. Throughout the book we get snippets of the killers viewpoint, and as the team get closes to catching him you find yourself on the edge of your seat as the dots start to connect. Carolyn Arnold drives up the intensity to the max setting with On The Count Of Three! I am consistently impressed with her high-quality, accurate information that doesn't bore you to tears. She twists realistic situations into a psychological mystery that will have you turning page after page. I promise, you won't stop until you reach the end. Then you'll have to go back and re-read because you'll be thinking, "how did I NOT see this alignment?!". You'll almost lose YOUR head trying to put the p Carolyn Arnold drives up the intensity to the max setting with On The Count Of Three! I am consistently impressed with her high-quality, accurate information that doesn't bore you to tears. She twists realistic situations into a psychological mystery that will have you turning page after page. I promise, you won't stop until you reach the end. Then you'll have to go back and re-read because you'll be thinking, "how did I NOT see this alignment?!". You'll almost lose YOUR head trying to put the puzzle pieces together. Arnold creates more than a dark, sinister killer needing to be stopped - she creates character with whom you build relationships. You start to care about their personal lives, their families, and the relationships they build with one another as a team. If you haven't started this series, start from the beginning so you can get all of the back-story to the characters! Will these dedicated professionals be able to figure all this out. We all know that drinking and driving can cause serious accidents and even death. The people found dead had just gotten out of prison for a DUI--three days later--dead. And how does a What happens on the count of 1-2-3 will make your skin crawl. This is one sick serial killer the FBI and the Miami police have gotten together to find! As if the drama that goes on between those two branches aren't enough to make your eyes open wide. I have to admit I'm a big fan of the Criminal Minds TV show. This book makes it feel like you're stepping right inside an investigation with the BAU, team dynamics and all. Three women, and three days before two decapitated heads become three. Three no longer seems to be a lucky number, but the adage bad things come in threes appears to be true...unless there are more victims, as investigators come to suspect. With the clock running out the killer toys with agents and detectives as they race this I have to admit I'm a big fan of the Criminal Minds TV show. This book makes it feel like you're stepping right inside an investigation with the BAU, team dynamics and all. Three women, and three days before two decapitated heads become three. Three no longer seems to be a lucky number, but the adage bad things come in threes appears to be true...unless there are more victims, as investigators come to suspect. With the clock running out the killer toys with agents and detectives as they race this monster before it beheads again. Every heart-pounding moment will leave you on the edge of your seat wondering what's around the next turn of a page. Definite must read. This is a gritty, twisty murder mystery, with just the right amount of personal backstory to keep it interesting. The BAU is called in to help solve a missing person case and possible serial killer case. But is someone hunting the BAU while they're hunting a killer? And can they find Jenna alive before a serial killer takes her head? This is the seventh book in the Brandon Fisher FBI series, but it can definitely be read as a stand alone book! However, I recommend backing up and reading the whole This is a gritty, twisty murder mystery, with just the right amount of personal backstory to keep it interesting. The BAU is called in to help solve a missing person case and possible serial killer case. This is the seventh book in the Brandon Fisher FBI series, but it can definitely be read as a stand alone book! However, I recommend backing up and reading the whole series - you won't be sorry! This is the kind of book I love...serial killers, BAU, unsubs, police procedure and more. This is the 7th book in the series and although this is the first one I read I didn’t feel lost. But I will certainly read the others in the series. This talented author researched and wrote an excellent suspense thriller with twists and turns. Character development was thorough and the pace was action fast. On the Count of Three by Carolyn Arnold is the 7th book in her Brandon Fisher FBI series. Refresher: Our FBI BAU (Behavioral Analysis Unit) team consists of Jack (leader), Brandon, Paige and Zach. Their cases are always violent, intense, squeamish and at times difficult for the agents, especially Brandon. We meet homicide detective Kelly Marsh, who trained under Jack to be an FBI agent, and when she investigates the case of a missing woman, she begins to see some similarities of other cases. Kel On the Count of Three by Carolyn Arnold is the 7th book in her Brandon Fisher FBI series. Refresher: Our FBI BAU (Behavioral Analysis Unit) team consists of Jack (leader), Brandon, Paige and Zach. Their cases are always violent, intense, squeamish and at times difficult for the agents, especially Brandon. We meet homicide detective Kelly Marsh, who trained under Jack to be an FBI agent, and when she investigates the case of a missing woman, she begins to see some similarities of other cases. Kelly will call Jack and ask him to come to Miami and help with this case. The team will discover that the similarities of the other missing case, which resulted in decapitation, are indeed the work of a serial killer. The victims were all sent to prison for DUI vehicular homicide, and shortly after their release, they disappeared, eventually with the head purposely showing up. Jack was Kelly’s mentor, and is pleased to have her working with them. Not so, Brandon, who seems jealous that Jack and Kelly get along so well. But Brandon will work with Jack on some investigations and Paige will work with Zach on other people. Kelly will work with either of them or on her own. As normal in this series, we get to see the POV of the killer, which adds a good element to the story, despite being also very intense. What follows is an exciting, tense, edgy, non- stop dark adventure to find the killer before they strike again. I do not want to give spoilers, as this is a story that you need to read from start to finish. This series is always intense, exciting and filled with wonderful details about how the team breaks down all the clues. No one does this better than Arnold, and she is an expert on all types of police/FBI procedurals. The end of the story looks like there will be some changes, and I will also mention that I still am not a fan of Brandon Fisher, but love the rest of the team. Carolyn Arnold once again gives us a fantastic and graphic story, which keeps us on the edge of our seats. If you have not read the earlier books of this series, which I suggest you do, this can read as a standalone. I’ll also admit that this is my first Brandon Fisher book. I really liked him I’ll be the first to admit that I don’t watch anything too grisly on television. Not a Criminal Minds kind of girl. Love my true crime stuff though. Go figure. What I really liked about this book is that has realistic characters that are somewhat at a crossroads in their careers and in life. While dealing with a serial killer. My kind of book. I like the human aspect of a thriller. Ms. Arnold does not disappoint for me. Arnold is a brilliant writer and I enjoy everything she writes. I have read a few of her Brandon Fisher series and a few of her Madison Knight series. Arnold has also started a more recent series which involves the character Matthew Conor. Every single one I have read has been a five star read and this book is no exception. A lot of hard work has gone into these books and the story lines are just so good. Arnold is very good at her detail and has you engrossed in the story line from start to fin Arnold is a brilliant writer and I enjoy everything she writes. I have read a few of her Brandon Fisher series and a few of her Madison Knight series. Arnold has also started a more recent series which involves the character Matthew Conor. Every single one I have read has been a five star read and this book is no exception. A lot of hard work has gone into these books and the story lines are just so good. Arnold is very good at her detail and has you engrossed in the story line from start to finish. Although there are a large range of crime/thriller writers out there, Arnold should be one of your top go to books if not already. She should definitely be up there with some of the top writers. I also enjoy how there is always plenty of involvement with the characters in her books. Although Brandon Fisher is the main character of this series, we also get plenty of dialogue from the other characters and how their back stories intertwine with one another. This book in particular brought about quite in that aspect for our main character Brandon with it's setting in Miami. Arnold's book can all be read as stand alones which is also another great factor of all of her series. I haven't read all of the books in any of the series but I know when I start any of the books that that will not be an issue. Even though is book seven in the series, Arnold has consistently made each one just as great. I really enjoyed the story line around the serial killer in this book and the psychology with it. Overall, Arnold has delivered yet another great book in her Brandon Fisher series. I really hope she will keep it going. Also a big thank you to Hibert and Stiles Publishing for sending me an ARC of this book in exchange for an honest review. It is always appreciated! Brandon Fisher works I chose to read this book after receiving a free e-copy. All opinions in this review are my own and completely unbiased. Brandon Fisher and the BAU are on the trail of a killer. This serial killer abducts and holds his victims for three days before he then then kills them by beheading them. The number 3 figures into everything that the killer does - three days after they are released from prison. Three days before they are killed. But he begins to make mistakes. Little mistakes that lead to larger mistakes. He seems to be devolving so quickly that the team seems to be two steps behind him at all times. A seemingly unrelated issue might just be the break the team needs to crack the case wide open. As the team races to find a missing woman in the Sunshine State, there are other cases that seem to connect to the serial killer, but the trails have gone cold, and the pieces are not quite fitting together as easily as they should. I enjoyed this book! If you like a good mystery that will leave you scratching your head to put the pieces together, then you need to read this book! On The Count Of Three will have you trying to figure out who the killer is before another person goes missing, and the trail goes cold again. One small gripe was the use of 3 letter acronyms. DUI and BAU were used in the book blurb and frequently throughout This is book 7 in the series featuring FBI agent Brandon Fisher. Once again, Carolyn gives us a gripping story to keep you on the edge of your seat. 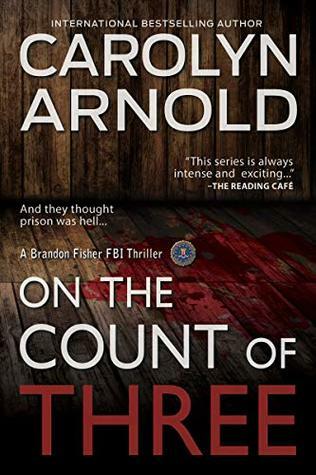 The latest and greatest Brandon Fisher novel by Queen of the Murder-Mystery, Carolyn Arnold, On the Count of Three is a shocking and spine-tingling thriller that will give you nightmares about Marie Antoinette if you're unlucky! Miami Homicide Detective Kelly Marsh calls in Jack Harper, her former FBI mentor, and his BAU team of profiler Brandon Fisher, Paige and Zach. (The latter's new fiancee Sheri has just perturbed and excited him with the news they're expecting a baby). Based around the modern issues of child abuse and DUI-caused motoring deaths,I like the way Carolyn Arnold hits the perfect balance, avoiding sensationalism and gratuitous detail, to concentrate on the human emotions surrounding these dreadful crimes and the outcomes for those who survive or are left behind to recover - or not - and their grieving loved ones. How do you find out who is sending decapitated heads as messages? Carolyn Arnold's brilliant insight to detective lines of inquiry and thought process is second to none. The creation of smart and intelligent criminals adds to the story line with no hints as to the mastermind behind the killings or their reason for them. keeps the reader enrapt and intrigued. The book is a Another brilliant and excellent psychological thriller and we are on the case again with Brandon Fisher and his acquaintances. I loved the mystery of this book. However, one thing that I found irritating was that the person whose viewpoint you were reading about each chapter changed. However, sometimes it was hard to know whose viewpoint was being expressed until you were well into the chapter. I think it would have been nice to have the person's name at the beginning of the chapter so you would save time trying to guess who was "thinking" or "talking" at the time. Other than that little issue, I found the book to be wel I loved the mystery of this book. However, one thing that I found irritating was that the person whose viewpoint you were reading about each chapter changed. However, sometimes it was hard to know whose viewpoint was being expressed until you were well into the chapter. I think it would have been nice to have the person's name at the beginning of the chapter so you would save time trying to guess who was "thinking" or "talking" at the time. Other than that little issue, I found the book to be well written, the story was interesting, and the characters well developed. The author brought out an intriguing murder mystery, but you also had personality and relationship conflicts, internal conflicts for several of the characters, and power struggles. The book will grab you from the beginning and have you quickly turning the pages to see if you can beat the race to discover the identity of the killer. This is a murder mystery about Miami Homicide Detective Kelly Marsh. There are two unsolved murders of women and Kelly knows there will be a third. Time is running out and her former mentor and family friend, Jack Harper, will help lead a team with FBI's Behavioral Analysis Unit. I was disappointed in reading this novel. It's complicated and a slow read for me. In fact, it really didn't captivate me like other great novels by Carolyn Arnold. I finally scanned thr "A Complex Investigative Mystery"
If you like Criminal Minds, you will love this book. This is my first novel by this author, but it will not be the last. As the story unfolds, it keeps you riveted to your seat, wanting – no needing - to know what is going to happen next. From the BAU to the serial killer, the characters are well developed in this entertaining read which only adds to this gripping tale. I will definitely have to catch up on the previous novels in this series. I received a free copy of this book and choose to revi If you like Criminal Minds, you will love this book. This is my first novel by this author, but it will not be the last. As the story unfolds, it keeps you riveted to your seat, wanting – no needing - to know what is going to happen next. From the BAU to the serial killer, the characters are well developed in this entertaining read which only adds to this gripping tale. I will definitely have to catch up on the previous novels in this series. I received a free copy of this book and choose to review it voluntarily. A woman, Jenna Kelter, is missing and two other women have been decapitated and Miami homicide detective Kelly Marsh is hot on the killer’s tail hoping to find out who committed the crimes before Jenna ends up in the same position as the first two ladies. The three cases are connected as all three ladies were just released from jail on DUI charges a few days before they went missing. Kelly needs help with the case so she calls a friend Jack Harper, who works for the FBI and is the leader of the A woman, Jenna Kelter, is missing and two other women have been decapitated and Miami homicide detective Kelly Marsh is hot on the killer’s tail hoping to find out who committed the crimes before Jenna ends up in the same position as the first two ladies. The three cases are connected as all three ladies were just released from jail on DUI charges a few days before they went missing. Kelly needs help with the case so she calls a friend Jack Harper, who works for the FBI and is the leader of the Behavioral Analysis Unit. A few short hours later Jack Harper and special agent Brandon Fisher find themselves in Miami, Florida hunting down a serial killer. On the Count of Three is riveting and engrossing with vivid description of the different scenes like heads were cut clean off and autopsies. Carolyn Arnold knows how to make a story come to life right on the pages. On the Count of Three will have you in its grip holding on and racing through the pages trying to find the next clue. CAROLYN ARNOLD is the international bestselling and award-winning author of the Madison Knight, Brandon Fisher, and McKinley Mystery series. She is the only author with POLICE PROCEDURALS RESPECTED BY LAW ENFORCEMENT™. Carolyn was born in a small town, but that never kept her from dreaming big. On par with her large dreams is her overactive imagination that conjures up killers and cases to solve. S CAROLYN ARNOLD is the international bestselling and award-winning author of the Madison Knight, Brandon Fisher, and McKinley Mystery series. She is the only author with POLICE PROCEDURALS RESPECTED BY LAW ENFORCEMENT™. Carolyn was born in a small town, but that never kept her from dreaming big. On par with her large dreams is her overactive imagination that conjures up killers and cases to solve. She currently lives outside Toronto with her husband and beagle. She is also a member of Crime Writers of Canada.